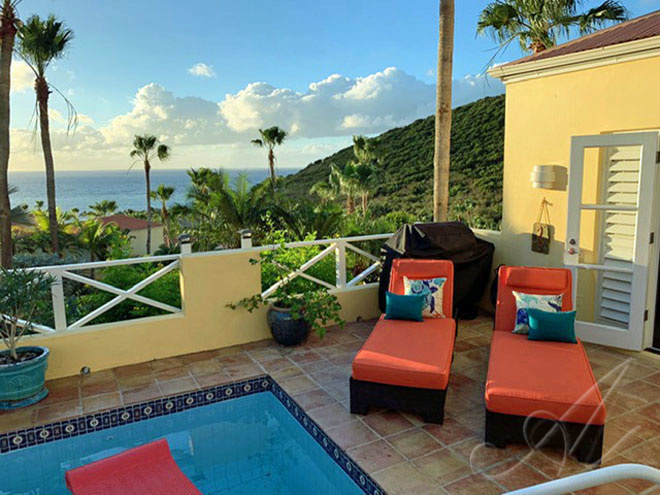 Carpe Diem at Villa Madeleine - "Seize The Day"! 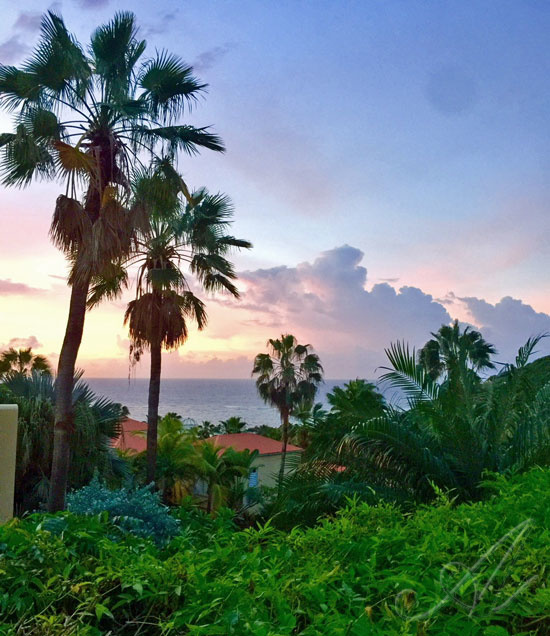 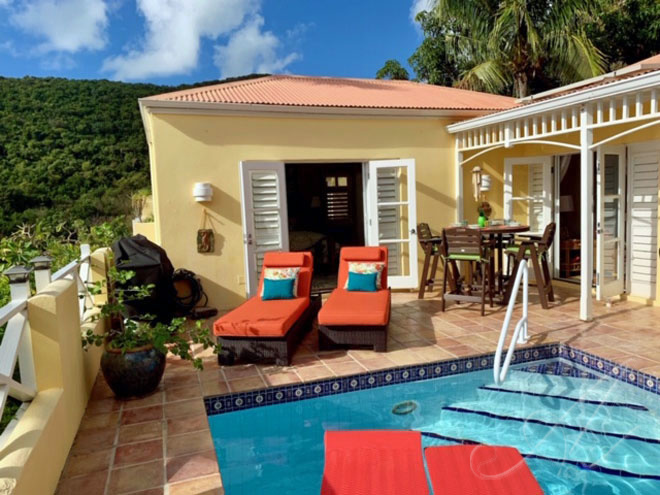 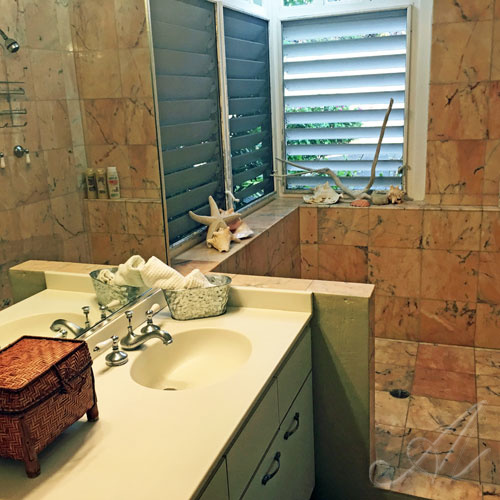 This 2 bedroom/2 bath private villa is out on St. Croixs serene east end, nestled in the hillside, within the gated community of Villa Madeleine. 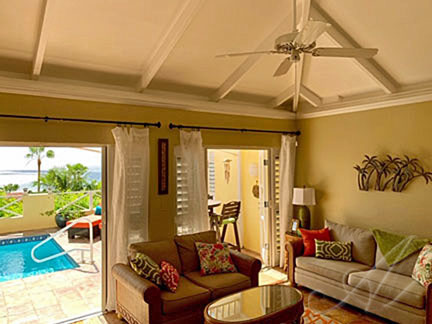 The living room area is awash in elegance and tropical ambiance while retaining the feeling of caribbean comfort. 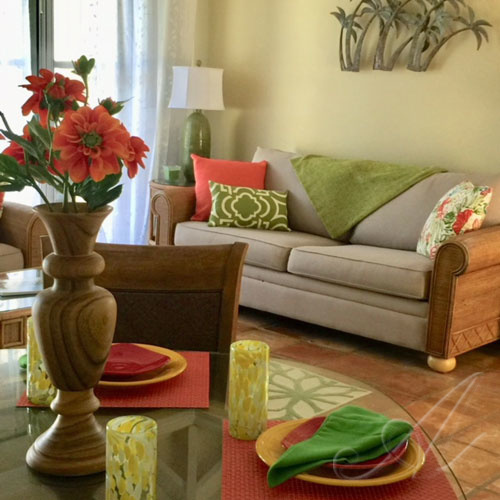 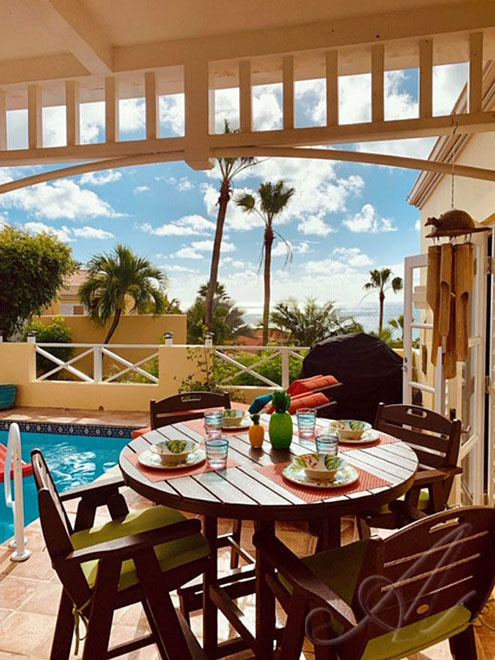 Features include Cable TV, Wireless Internet, all inside villa amenities including complete air conditioning and retractable screens on all french door openings, plus extra touches around the villa. 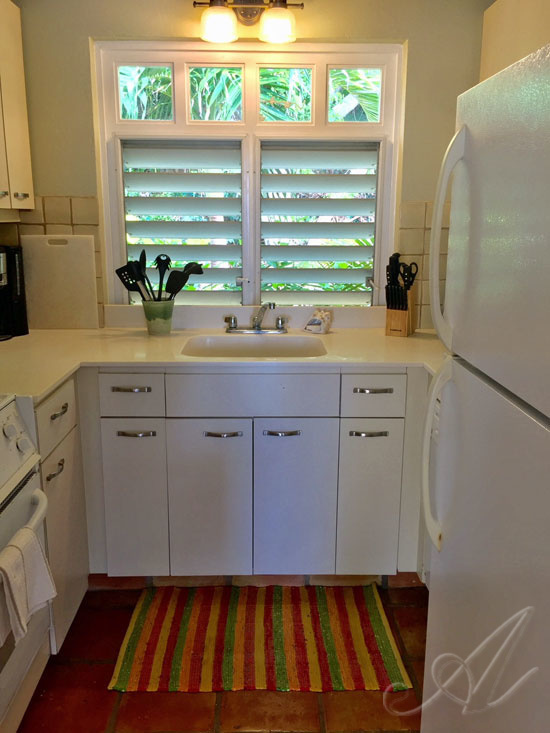 Off the living room is the fully equipped kitchen. 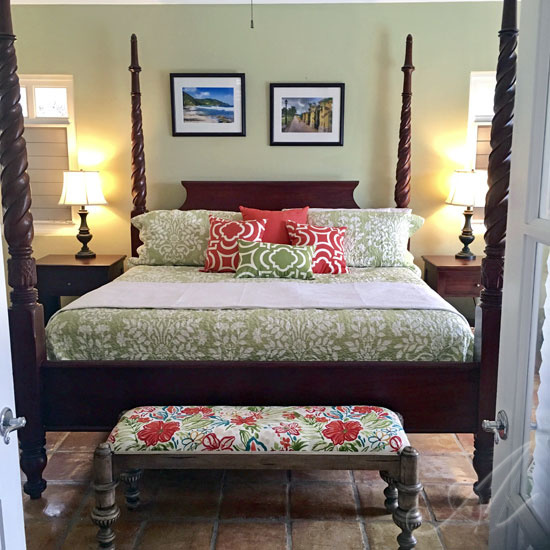 The master bedroom suite features a 4 poster mahogany king bed along with the room amenities...ceiling fan, AC, french doors with retractable screens out to the pool deck to enjoy the breezes and views. 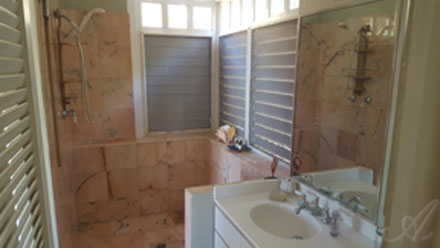 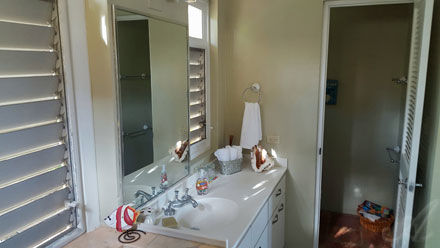 There's also an adjacent bathroom with large walk in marble shower,vanity and separate powder room toilet area. 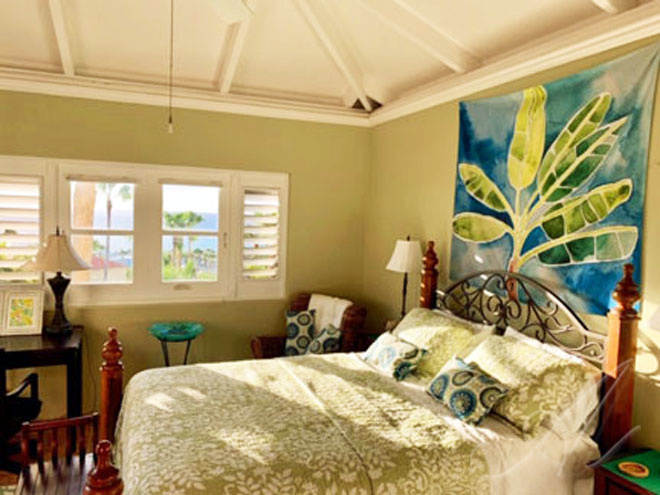 The second master bedroom suite has a queen bed, same amenities and bath ensuite. 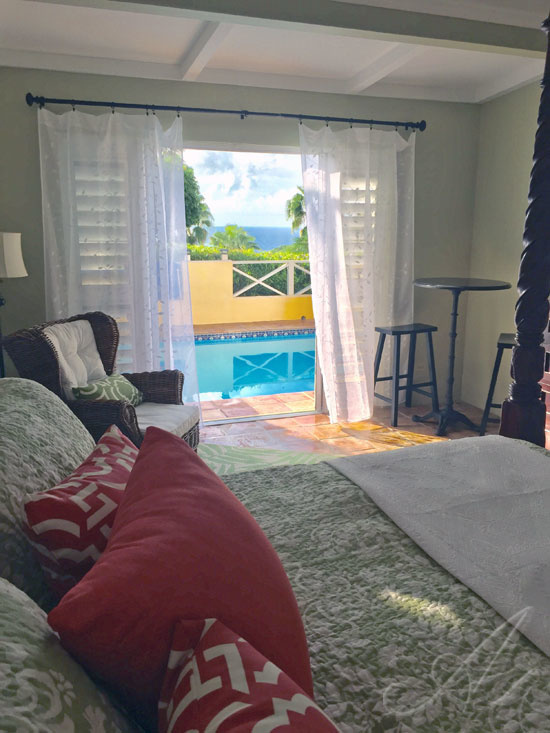 Gas Grill for nights at home to enjoy the ambiance, all Linens, Towels, beach bag, beach chairs, beach cooler are all provided. 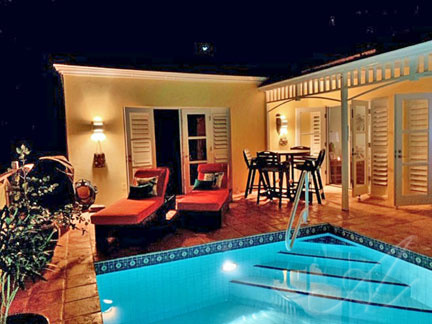 "Seize the Day" ...Reserve and Enjoy this villa for your vacation villa stay! 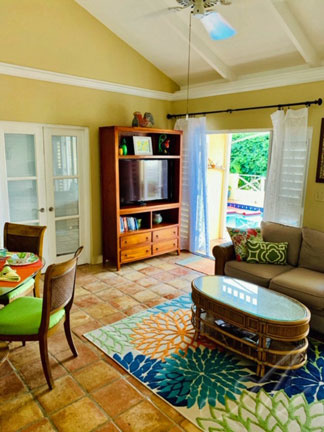 and a natural path to walk to the beach at the Divi Resort! 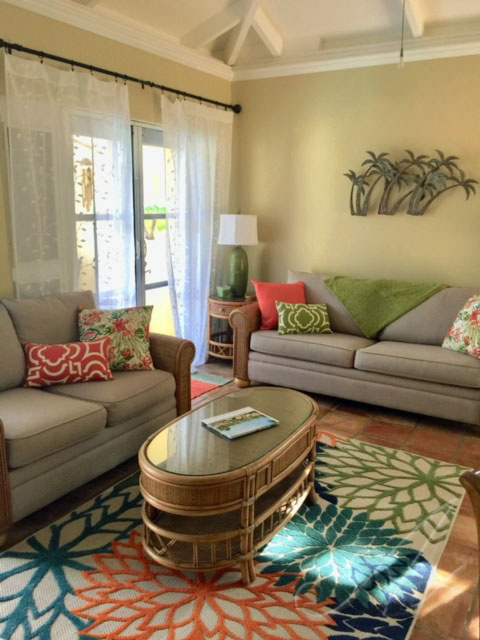 Christmas/New Years rates are higher - please inquire.